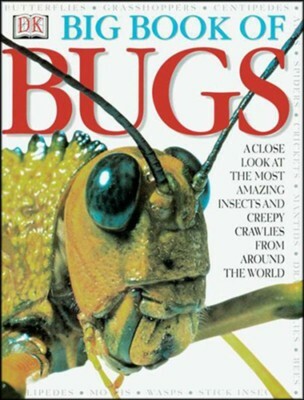 Big Book of Bugsthe up-close and personal book for young entomologists and all curious kids who are fascinated with bugs. Look right into a spider's eye and get tangled in its web! Marvel at the stunning pictures of teeny tiny creepy crawlies blown up to extraordinary sizes. Engaging annotations provide buggy facts and figures. Larger than life photographs of these bugs include locusts, caterpillars, beetles, flies, grasshoppers, ants, praying mantises, and more! I'm the author/artist and I want to review Big Book of Bugs.